Since much of this country is exhibiting Autumn colors this time of year, I have re-visited one of my classic landscapes entitled Gold Standard. 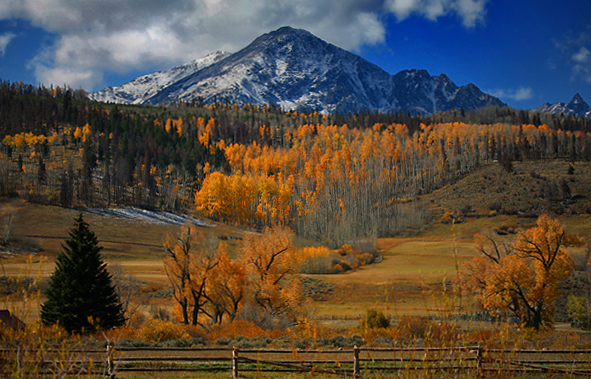 Stopping along a very long drive to Steamboat Springs in Colorado, this snow-capped mountain rose up behind a golden strand of Aspen trees creating a scene that begged to be photographed. Not being near a landscape with changing colors this year, I re-post this image to remember what I am missing and to look forward to seeing it again next year and for many years to come. Remembering days gone by growing up in Long Island, NY, raking fallen leaves and jumping into the piles, Rocky Road contrasts the eastern orange and red leaf colors that I remember to the west coast Aspen golds. This image was captured at Rock City Gardens near the border of Tennessee and Georgia, outside Chattanooga, TN www.seerockcity.com. 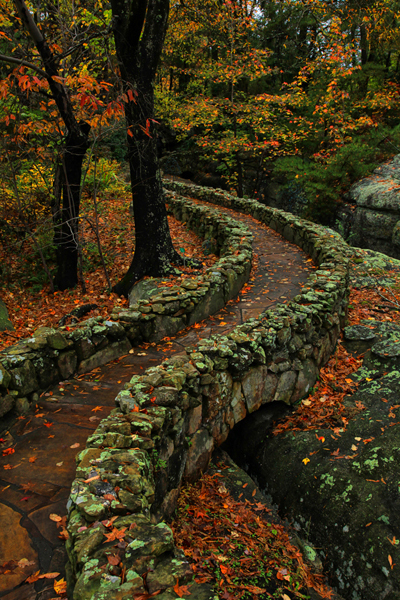 A spectacular place to visit during the Fall when the winding rock paths are framed by, and then covered with, the beautiful turning leaves. The 140 foot waterfall at the end of the road captured both my heart and my umbrella when I leaned too far over the railing to get the right angle for another image. Well, better the umbrella then my camera equipment…or me. The composition of the ‘rocky road’ is extremely well done!